When you choose Quality Tree Farms, you choose superiority. For more than six generations, the Quality name has symbolized excellence in service and products in Central Louisiana. Quaity Tree Farms plants, tends and nurtures 15-, 30- and 45-gallon premium container-grown trees. The superiority of our trees is evident in healthy trunk tissue, good architecture and strong branch attachments. We use Rootmaker Certified liners to grow healthy, uniform trees for your projects. You'll be the first to know about current specials, current inventory and all things Quality Tree Farms has to offer! Trees grown at QTF are planted with liners in certified root maker containers (designed by Dr. Carl Whitcomb). We can grow 2-2.50 inch trees in about half the time and cost it takes most conventional growers. This gives us the ability to produce superior trees with superior root systems constantly and economically! Do you grow anything other than trees? 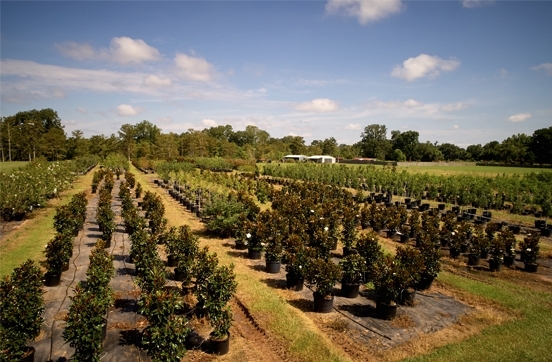 We specialize in growing trees; however, we are located in the nursery Capital of Louisiana, Forest Hill. With over 100 nurserys in the area we can find the other shrubs and plants you may need for your project . No, we arrange delivery with the most experienced Plant Haulers to get your order shipped promptly. Can the order be picked up? Yes, we ask that you please give a two day notice for pick up orders. No, we will gladly sell from just one tree to hundreds of trees to fill your order!